Enjoy a stay with the utmost ease and efficiency when you select one of our spacious suites with room for your whole group. Our executive suites feature a harmony of modern style and convenient in-room amenities for travelers on the go, such as a microwave and refrigerator for late night snacks. In town with a larger group? Take your pick from several choices of where to sleep in our 2 Double Beds Suite, complete with two double beds and sleeper sofa to accommodate everyone in your party. Looking for a bit of extra privacy? The partial room divider allows for the degrees of separation that you need. 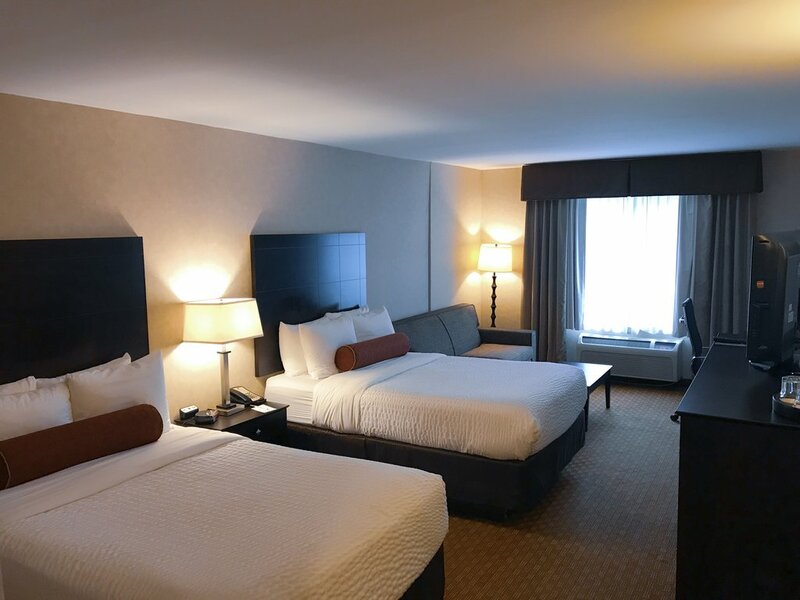 Our 2 Double Beds Suite is well-equipped with all of the in-room amenities your group will need, including a refrigerator, microwave, and coffeemaker. Enjoy a late-night snack from the comfort of your room, or treat yourself to a tasty meal for breakfast and dinner at our on-site Bistro C restaurant! Hosting an event at the Waterford Banquet & Conference Center? Let us take care of everything – from catering services and audiovisual equipment, all the way to your guest’s lodging options. 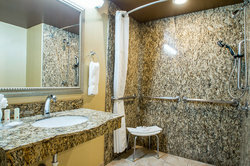 Book a group room block at the Clarion Inn Oakbrook – Elmhurst today!